Food and Beverage Association of Ghana (FABAG) has called on beverage producers to contribute towards efforts to rid towns and cities in Ghana of plastic waste. This, according to FABAG, would help Ghana to attain its vision of becoming the cleanest city in Africa. 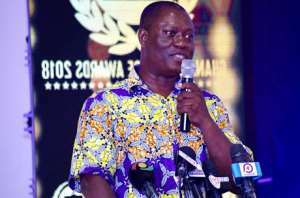 The Food and Beverage Association is making the call as part of efforts towards the Ghana Beverage Awards (GBA) organized by Global Media Alliance (GMA). The Award scheme seeks to honour beverage companies, which excel in their various specialties. Mr. Aggrey acknowledged the efforts of the Ghana Recycling Initiative by Private Enterprises (GRIPE) and the key role the beverage industry also has in controlling the plastics menace. GRIPE is an industry-led initiative under the auspices of the Association of Ghana Industries (AGI), and currently has Coca-Cola Bottling Company of Ghana, Dow Chemical West Africa Limited, Fan Milk Ghana Limited, Guinness Ghana Breweries Limited, Nestlé Ghana, PZ Cussons Ghana Limited, Unilever Ghana and Voltic (GH) Limited, as founding members. The coalition seeks to integrate sustainable waste management solutions, contribute to increased collection and recycling rates countrywide and provide employment opportunities through scalable recycling solutions, among others. “The sanitation task is an enormous one and we have a fast-growing beverage industry too which means our sanitation challenge may only get bigger. So if we can work together as beverage producers to supply bins, do clean-up exercises and brand ourselves as organisations for a safer environment, we can get far with this campaign. “Some organisations have taken the leap with the GRIPE Campaign, and I must commend them for that. Let's now take our place in the fight as the beverage industry. I'd also like to call on all consumers of various products to be supportive of this initiative,” he added. FABAG has been a registered legal entity since October 2004 under the companies' code 1963 (Act 179) as a limited guarantee organisation under the laws of Ghana. The organisation represents the interest of manufacturers, wholesalers, retailers, exporters and importers of food and beverages across the country. It lobbies, advocates, negotiates and communicates the views of its members in relation to specific government policies affecting their businesses.